Boutique hotels are still all the rage and we can't see small, luxurious lodgings ever going out of fashion. Offering just a handful of rooms, personal service and intimate interiors, boutique hotels are perfect for romantic couples looking to escape and hole away for a long weekend. This sophisticated hotel boasts 50 rooms and six suites. 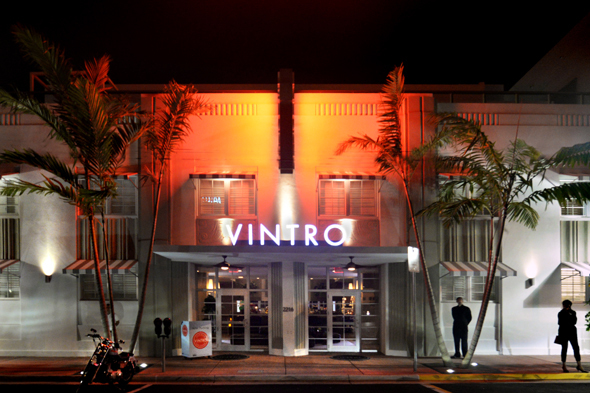 Located in the heart of the South Beach cultural district, Vintro Hotel & Kitchen is situated in an ideal location; close to the nightlife, the Bass Museum of Art, The New World Symphony and just steps away from the ocean. You can hire a bike from the hotel to tour the neighbouring areas or charter the hotel's 'Vintro' yacht with its crew and sail to the Biscayne Bay. Some of its most amazing features include the alluring interior courtyard leading to an alfresco dining area overlooking Collins Canal, a freshwater pool with a steam room and Jacuzzi, and a luxurious rooftop lounge and bar. The dining experience includes signature dishes like salt crusted Florida red snapper with citrus and herbs and crispy calamari bruschetta. Rooms from £178 per person per night. Opening on 1 September 2014, Urso Hotel & Spa will be Madrid's first five-star boutique hotel. The early 20th-century palace was meticulously restored to create a contemporary building with 78 rooms and suites. Nestled between the Chamberi and Chueca neighbourhoods, it is situated only five minutes from the city centre, perfect for exploring all that Madrid has to offer from its shopping, the 'golden triangle' featuring the Reina Sofia, the Prado and the Thyssen-Bornemisza, plus the unrivalled nightlife. The 78 sleek and stylish rooms have been decorated with a blend of honey-toned woods, marble floors, fine fabrics and scattered rugs. Its most fabulous features include the lap pool, fitness centre, stylish lounge bar and restaurant, and Madrid's first luxury branded spa by Spanish skincare brand Natura Bissé. Rooms from £266 per person per night. Located in the centre of the Galapagos on Santa Cruz Island, Pikaia Lodge is a carbon-neutral lodge representing the next step in the evolution of luxury eco-adventure. With just 14 rooms nestled among the slopes of two extinct volcano craters, Pikaia Lodge offers expansive views of the arid savannah of the adjacent Galapagos National Park and spectacular views of the Pacific Ocean and nearby islands. Taking advantage of its central location, the hotel operates daily land and sea tours on its private yacht, as well as making use of its facilities including its own giant tortoise reserve, a gourmet restaurant, bar, relaxing spa and beautiful pool. Superior rooms from £1,148 per night on a full board basis based on two people sharing, including one land excursion on Santa Cruz Island, yacht excursions to North Seymour & Bachas Beach and to Bartolome Island & Sullivan Island (three night minimum stay).